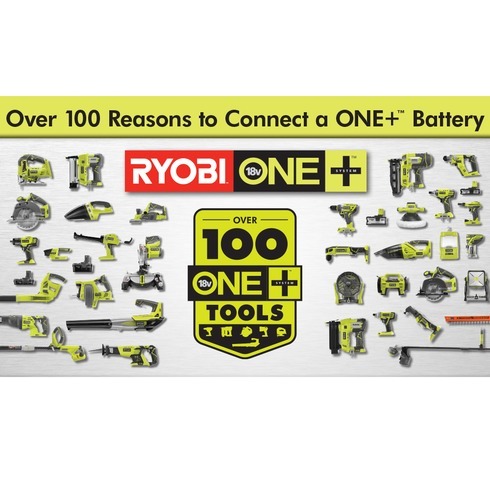 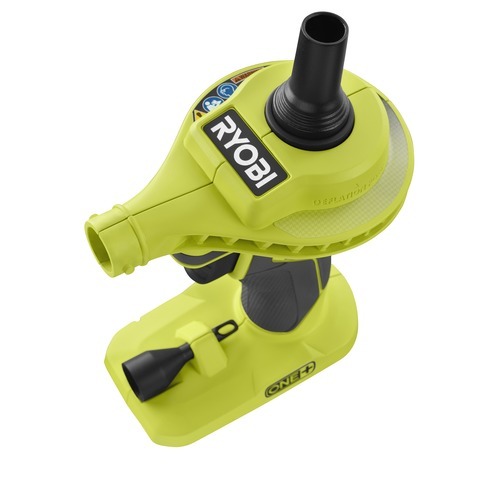 Introducing the Ryobi ONE+ 18-Volt High Volume Power Inflator. 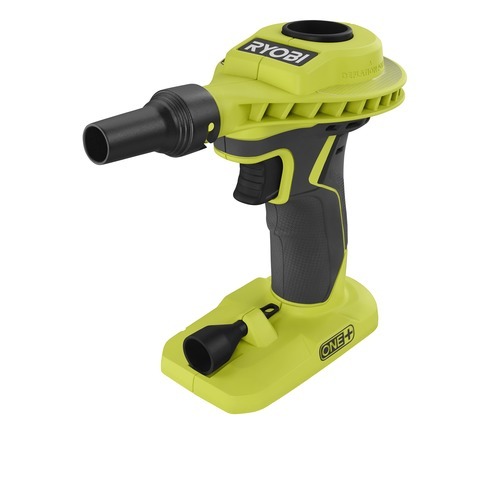 This new cordless tool is perfect for fast, high volume inflating and deflating of air mattresses and pool toys. 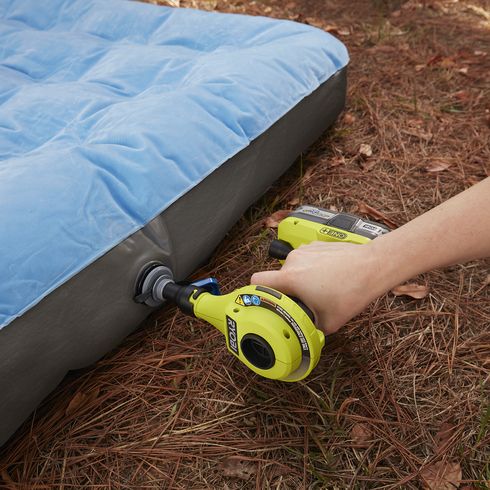 It can inflate a standard twin air mattress in 45 seconds! 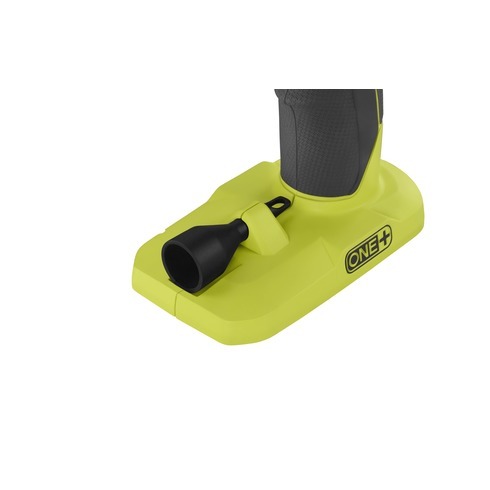 This tool is not just limited to inflation and deflation; it can also be used as a portable benchtop blower to keep your work surfaces clean from sawdust or debris; it can even accelerate charcoal readiness time on your grill by providing high volume oxygen where you need it. 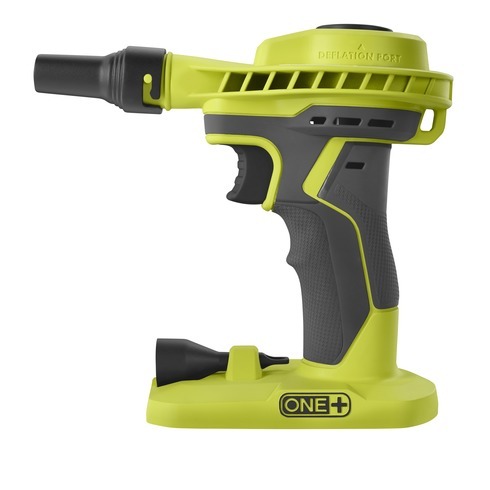 The pistol grip handles with GRIPZONE oversold provides user comfort as well as a locking trigger feature that prevents user fatigue. 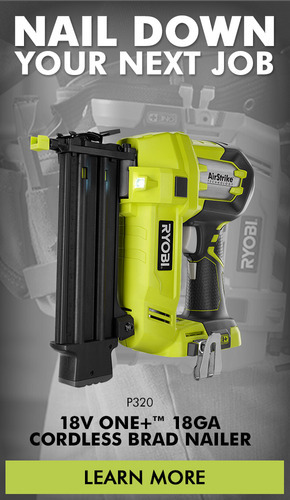 These features will help you power through any job effortlessly.